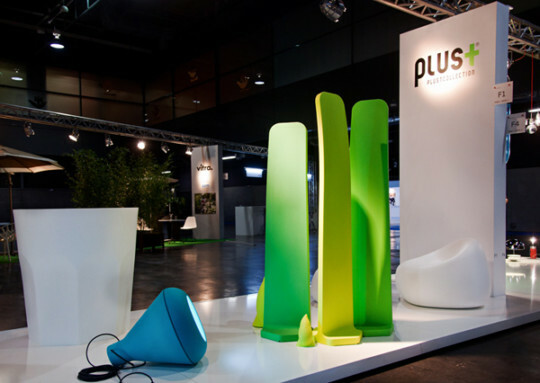 The collaboration between Plust Collection and “Interni Magazine” is still on!!!. 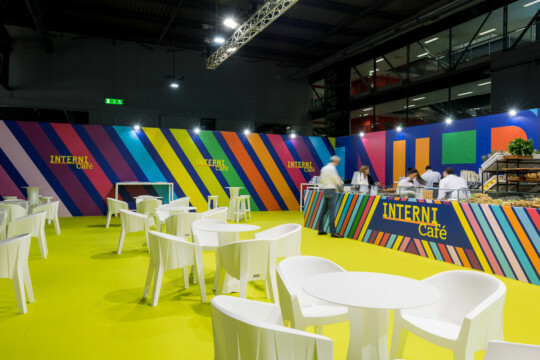 From January 26th to 29th 2018 at HOMI in Milan, the Frozen Family Collection by designers Matteo Ragni and Maurizio Prina furnished the “Interni Cafè” area with a unique and distinctive style. 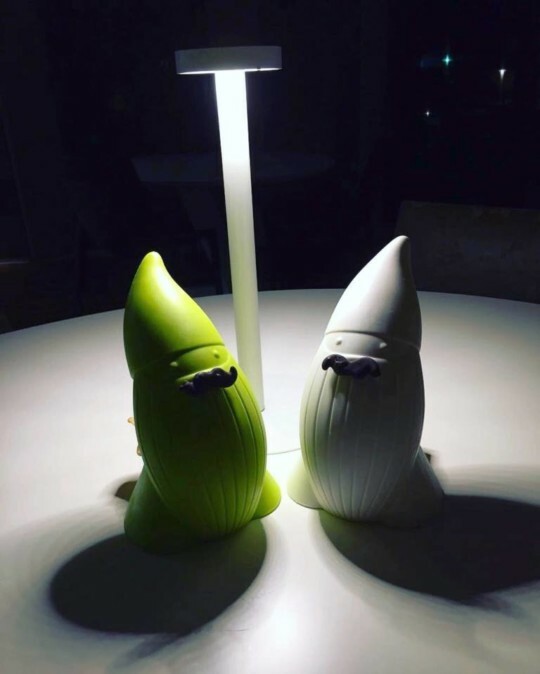 Baddy, released from JoeVelluto (JLVT), turns into an ironic waiter and fitted with chocolate mustache and a bag of puff pastry filled with soft cream, it’s ready to serve the pastry on the table on the star restaurant Aqua Crua of chef Giuliano Baldessari in Barbarano Vicentino. Thanks to the new Web-2-App feature, you can now jump directly from our 3D Viewer to the Sayduck App. 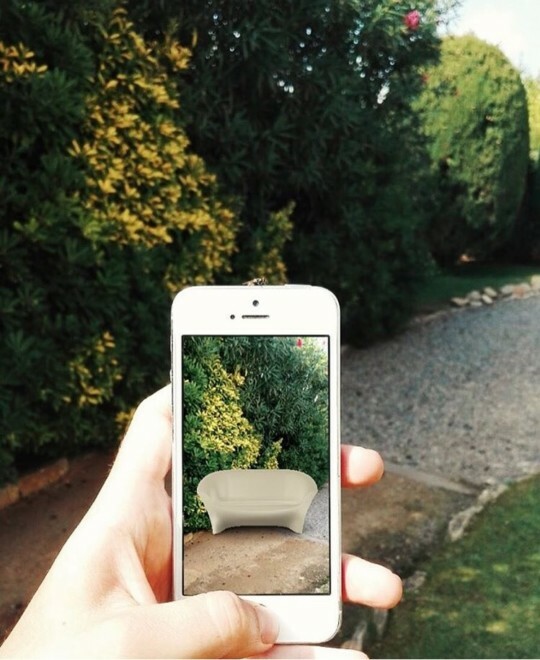 Just tap the “View in your Home” icon for an amazing Augmented Reality like never before! 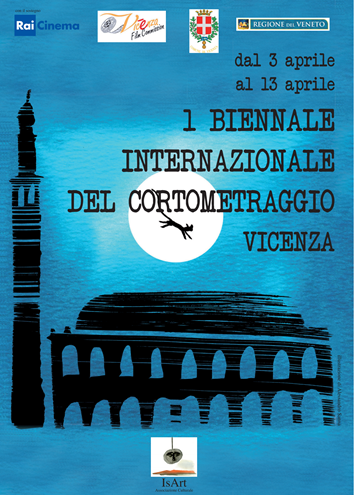 Once again, Plust Collection participates in initiatives linked to the world of culture: at the International Short Film Biennale in Vicenza from 3 to 13 April, an area dedicated to the info point, interviews and presentations will be set up in the Loggia del Capitaniato in the central Piazza dei Signori. 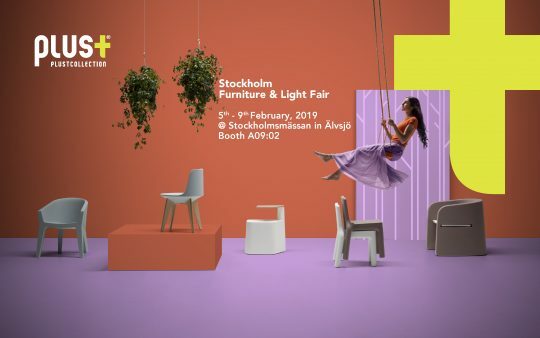 Also this year PLUST Collection chooses STOCKHOLM FURNITURE & LIGHT FAIR as a showcase for its products and to introduce the new products presented in 2016: Bold Family designed by Giulio Iacchetti, Four Lamp Family created by Philippe Tabet and Plust Van designed by Michele Menescardi. The PLUST Collection offers its furnishing accessories in an artistic way through the photography of Silvana Spera, who takes a new perspective to re-interpret and portray the collection. 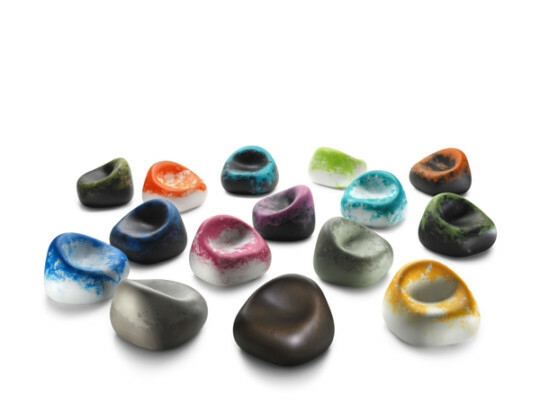 The items are thus combined and matched in a harmony of graceful forms and bold colours. 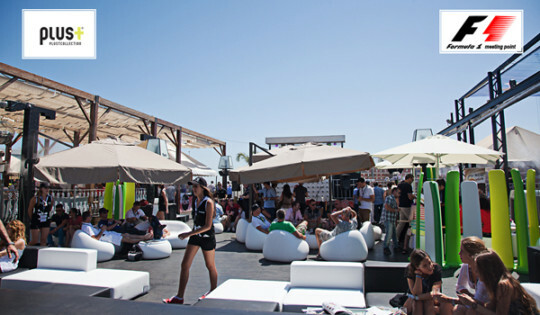 Kinder+Sport is at EXPO 2015 with an area dedicated to families and active lifestyles. 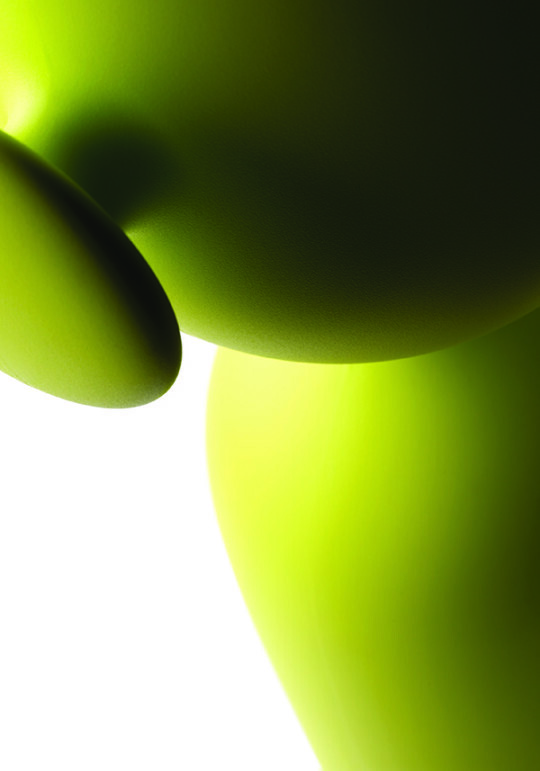 Many PLUST Collection products have been chosen to enrich the “Joy of Moving” educational pathway for children. 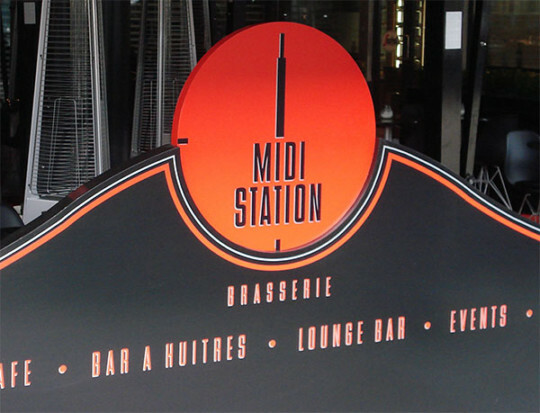 A cheerful and convivial atmosphere where families can spend the day. 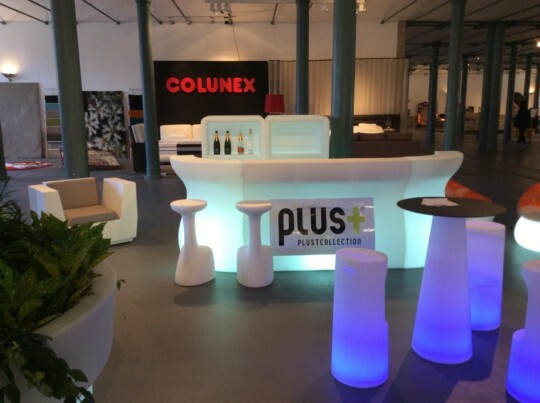 The new PLUST Collection is the perfect expression of conviviality, interaction and versatility! 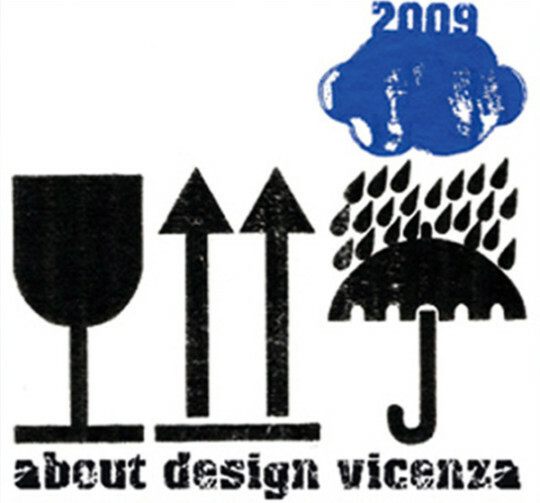 Design by Alberto Ghirardello, JoeVelluto (JVLT), Matteo Ragni and Maurizio Prina, Cédric Ragot. 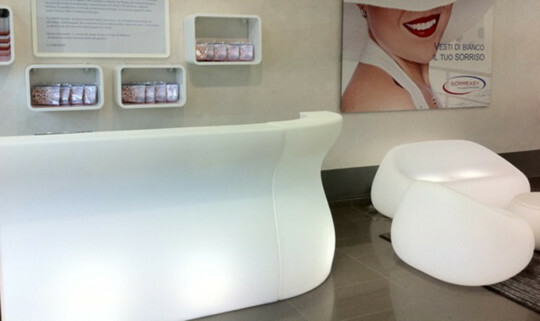 PLUST Collection products were chosen to furnish the set of Unicredit’s latest advert. 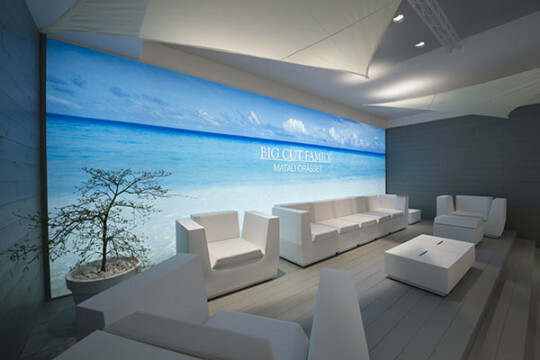 The protagonist of the advert is in a media store of the future, where Gumball sofas and Jetlag benches create an imaginative and visionary scenario. 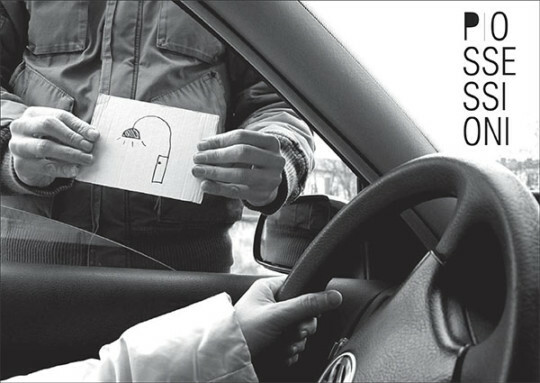 This advertising campaign by JWT Italia is being shown on major TV and digital channels. 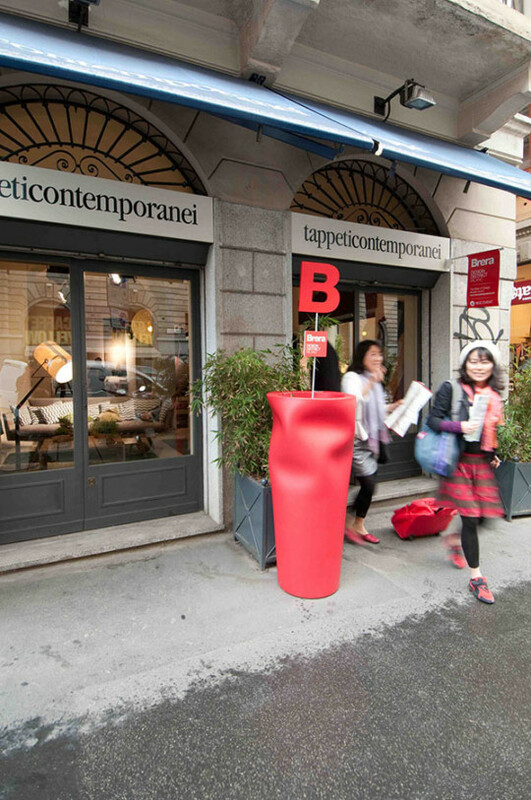 Rebelot vases by PLUST furnish the entrance of Aldo Coppola showroom in Milan. 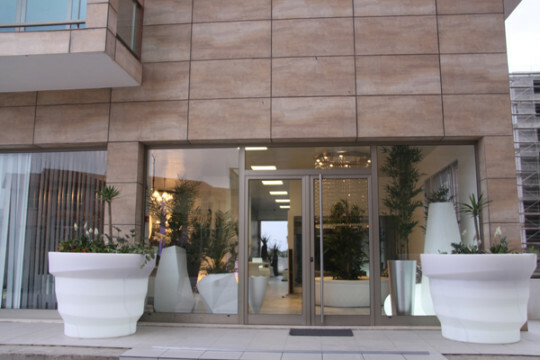 Aldo Coppola chooses Rebelot vases, designed by Matteo Ragni, to set the entrance of the new showroom in San Babila, Milan. 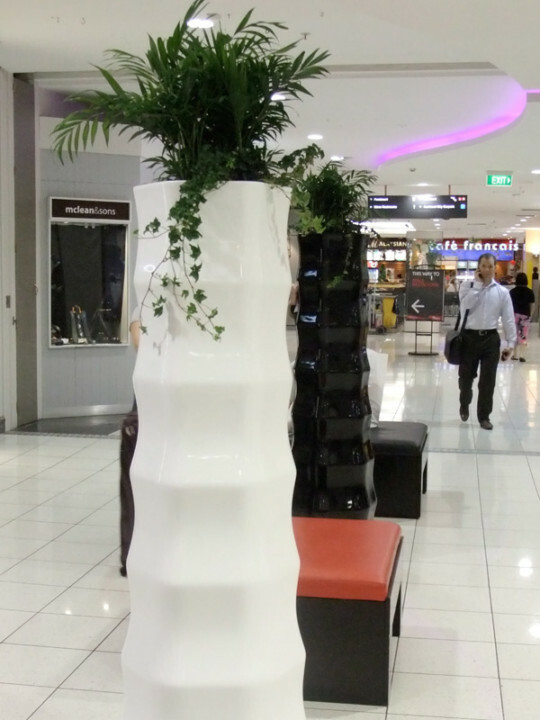 The result is a triumph of maxi vases that welcome the customers. 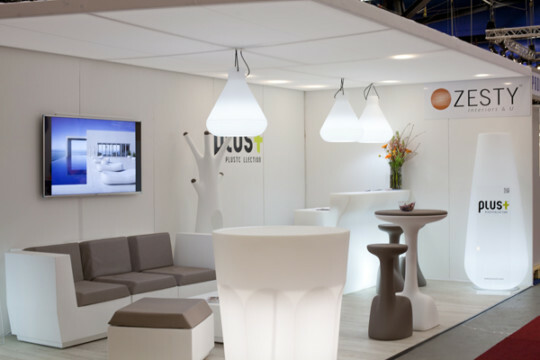 DASS PROJECT chooses PLUST Collection to celebrate its first anniversary. 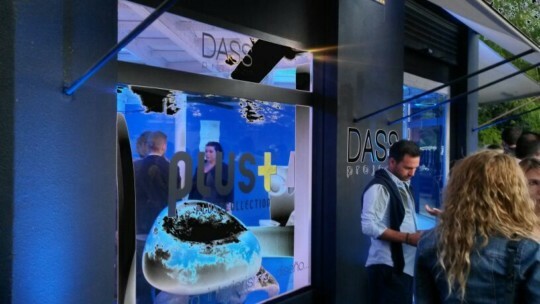 The architect studio DASS PROJECT in Valencia has chosen PLUST Collection as official partner to celebrate its first anniversary. 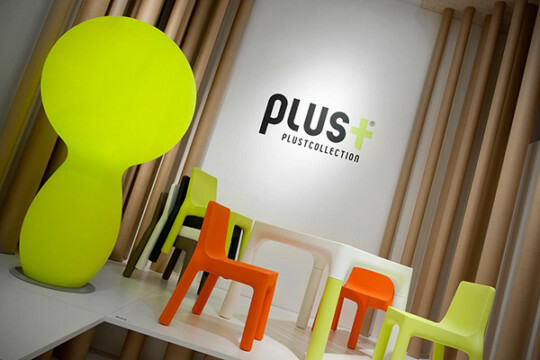 In the showroom they have shown best sellers and products of the last collection of PLUST Collection. 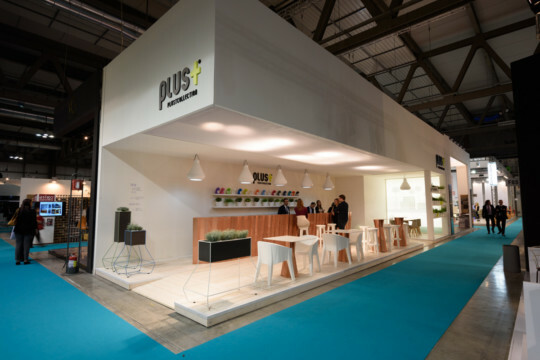 PLUST Collection has participated at The Oporto Show with its novelties: products that meet interior and exterior design requirements with fresh and dynamic aesthetics. Here the first pictures. 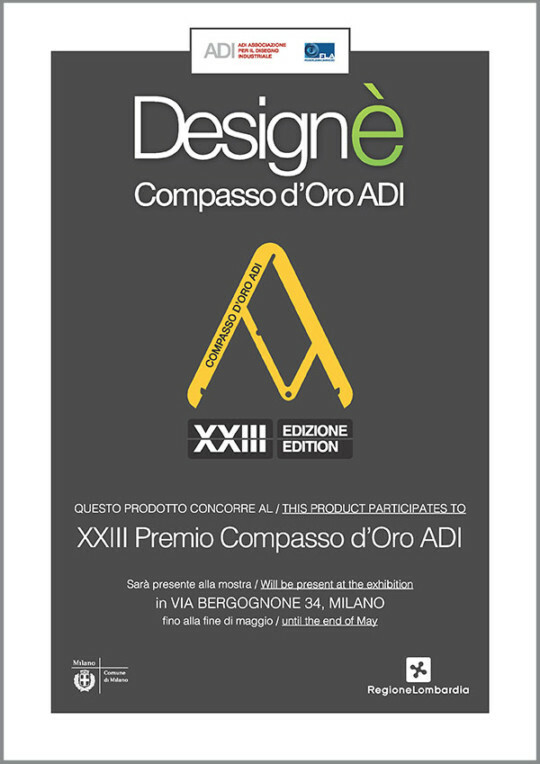 Sat project, designed by Marco Zito, selected by ADI Design Index 2013 for the category “Design for Living”, will be shown at the exhibition XXIII Premio Compasso d’Oro ADI until the end of May at Spazio A ex Ansaldo, via Bergognone 34 Milan. 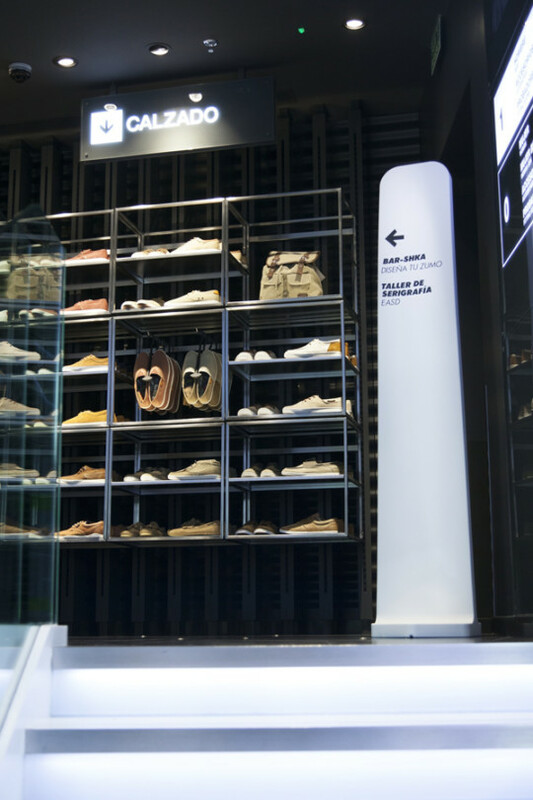 BERSHKA chooses PLUST Collection as a technical partner for showing its new collection. 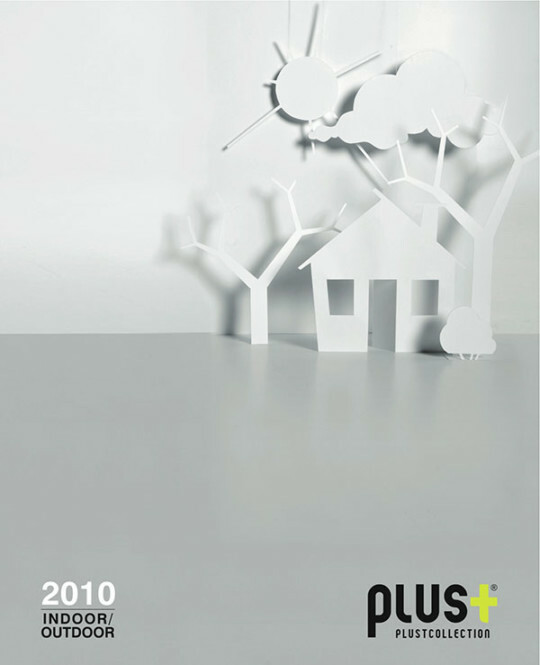 PLUST Collection has participated at Habitat Valencia 2014 with its new range of colours: Funny White, Industrial Black, Urban Forest e Golden Rust. 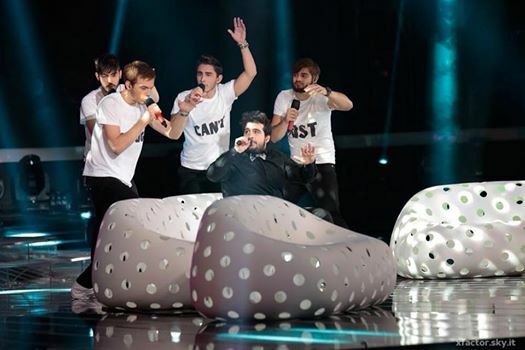 Here the first pictures and the official video. 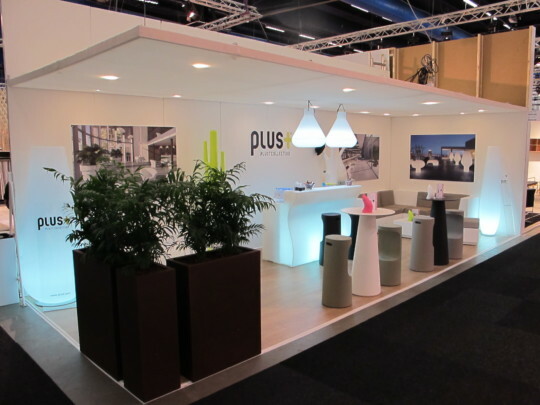 Here the first pictures Of PLUST Collection at STOCKHOLM FURNITURE & LIGHT FAIR 2014. 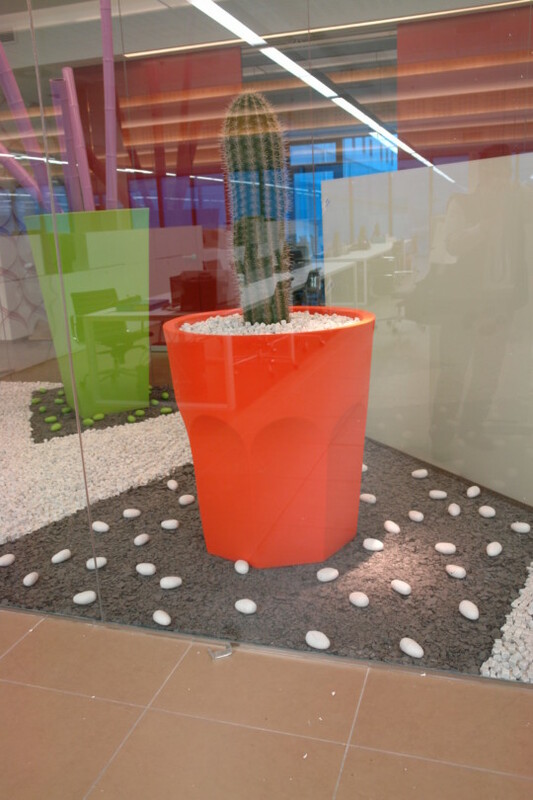 The new store Sorreasy in Pesaro, has been customized with the products PLUST Collection: The Gumball family, the counter Bartolomeo, the freestanding Lapsus and the vases Cactus. 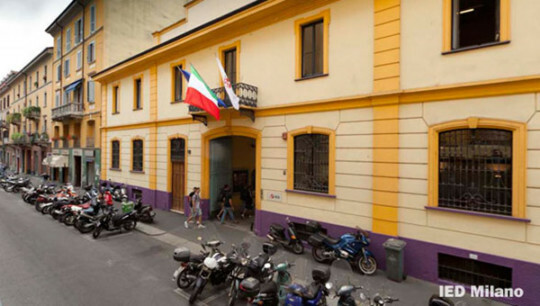 On February 6th some of the classes of the school will be opened to the public for the first time. 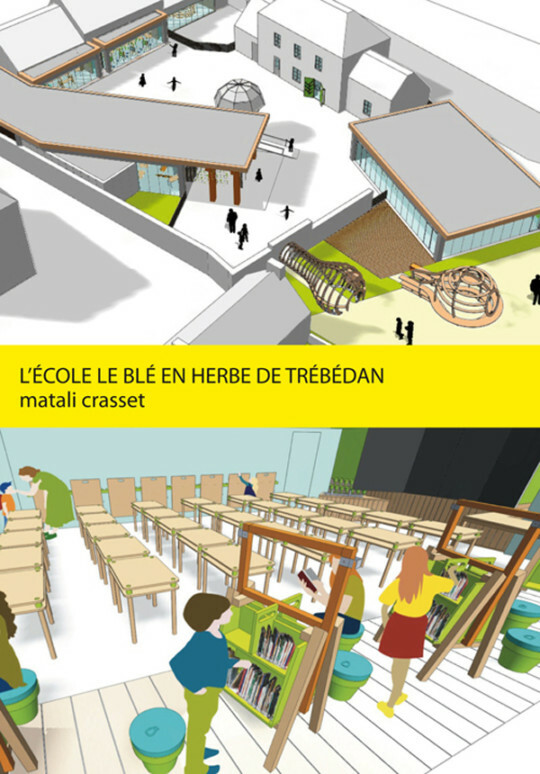 “L’ècole le blè en herbe” in Trébédan is a project created by the french designer Matali Crasset ; PLUST is one of the technical sponsor. 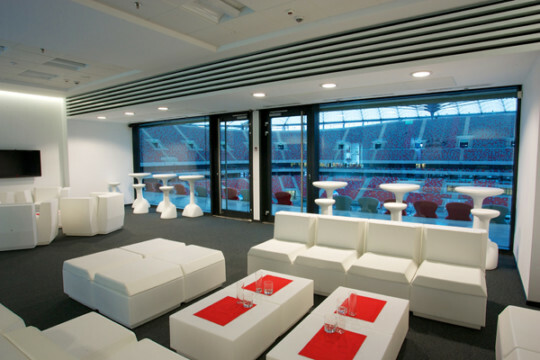 One of the most prestigious private rooms of the international stadium Narodowy in Warsaw has been furnished with some products of PLUST to create a comfortable lounge area that overlooks the football field.able lounge area that overlooking the field. 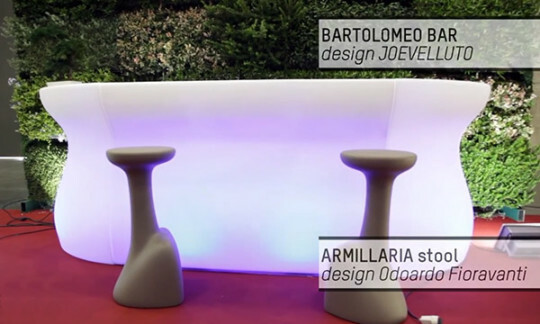 At the Fair Paysalia, in Lyon, PLUST Collection participates creating a space of conviviality, realised with Big Cut Family by Matali Crasset, the bar counter Bartolomeo by JoeVelluto (JVLT), the seat Sat by Marco Zito and the set of Armillaria by Odoardo Fioravanti. 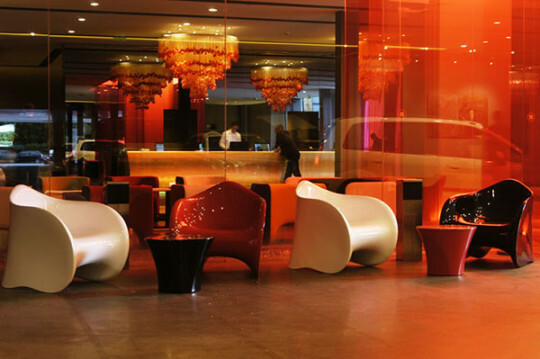 The HI hotel in Nice offers a new contemporary and originally workplace designed by Matali Crasset. 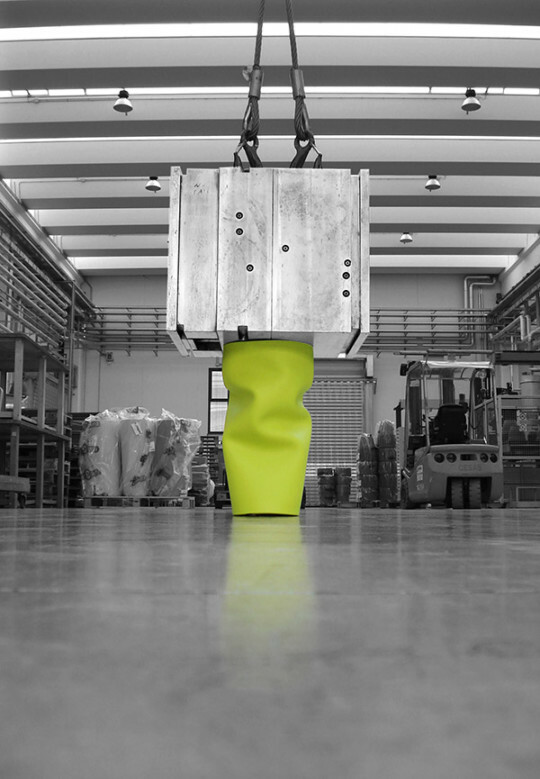 On 21st November, the french industrial designer and PLUST Collection will hold a meeting to explain how Hi.lab room was born: a place of synergies, collaborations and functionality. 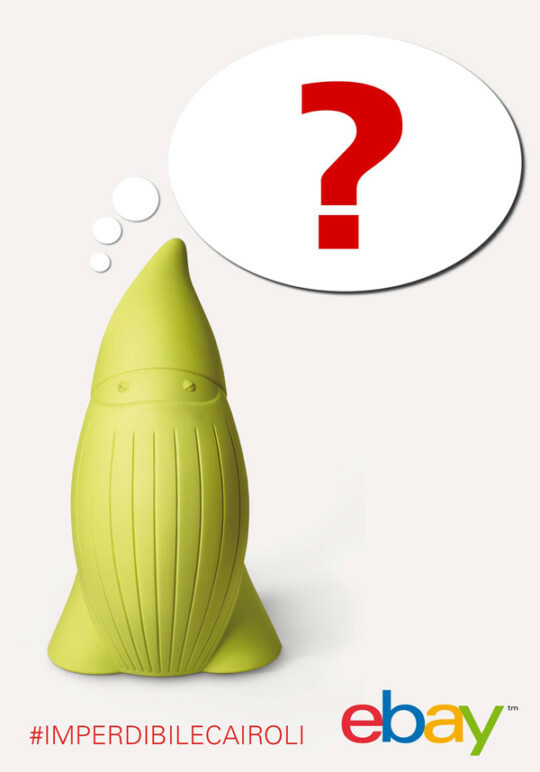 On the 24th October the dwarf Baddy will be one of the 12 products selected for “eBay imperdibili”: a selection of the best of technology, design and fashion. It will be possible to buy all these products from mobile at Cairoli underground station that, for the occasion, will be dressed by eBay. 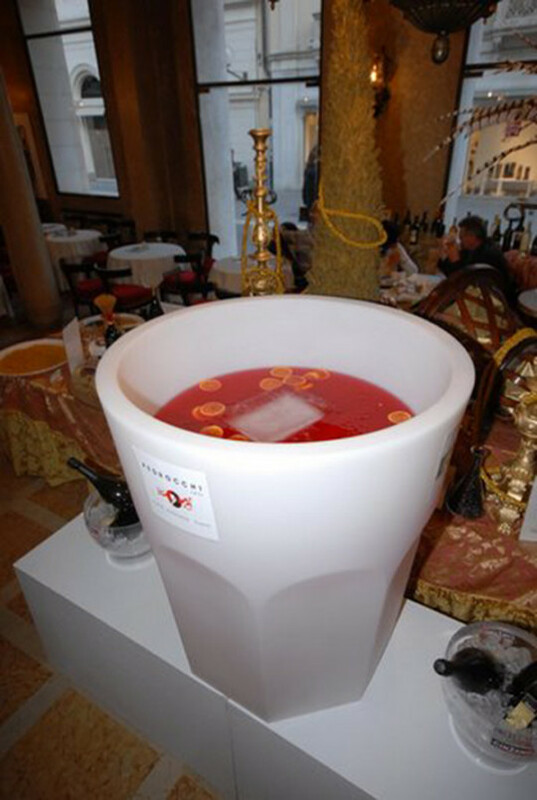 PLUST Collection has participated in the Gastronomic Fair in Valencia with the Collection 2013. 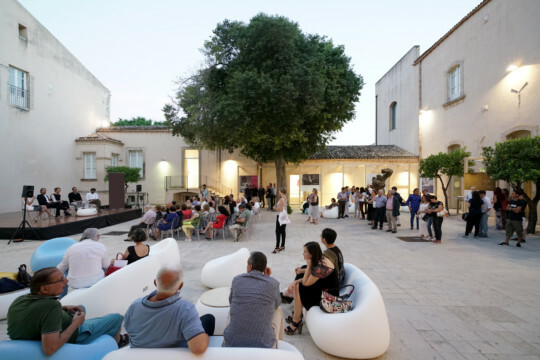 Visitors, comfortably seated on Big Cut armchairs by Matali Crasset, have enjoyed watching the performance of Mes que Barmans that has taken place in a structure realized with Bartolomeo, the bar counter designed by JoeVelluto (JVLT). 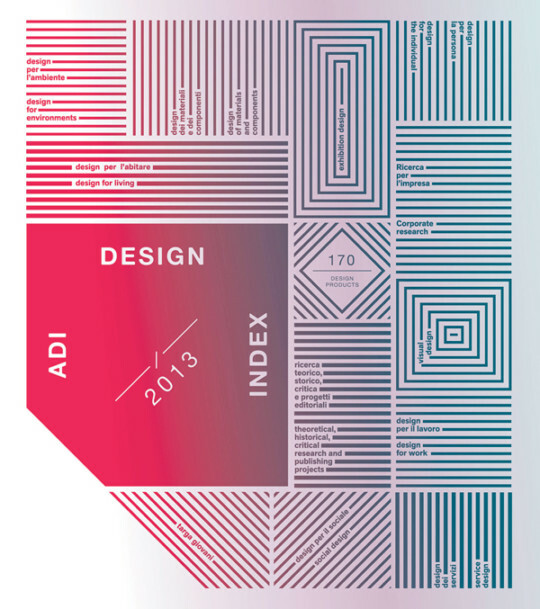 PLUST Collection is pleased to announce that it has been selected for the “Design for Living” category of the 2013 ADI Design Index with its Sat project, design by Marco Zito. 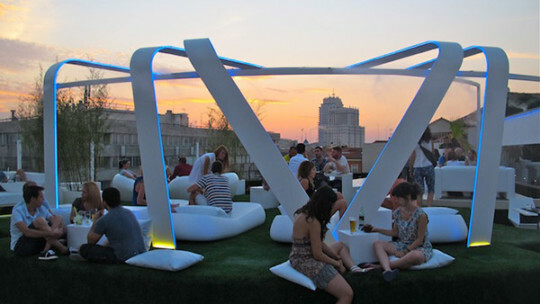 Bartolomeo and Gumball Sunlounge of PLUST Collection have been chosen to furnish the attic Gymage Lounge Resort in Madrid, the new trendy urban resort in the city. 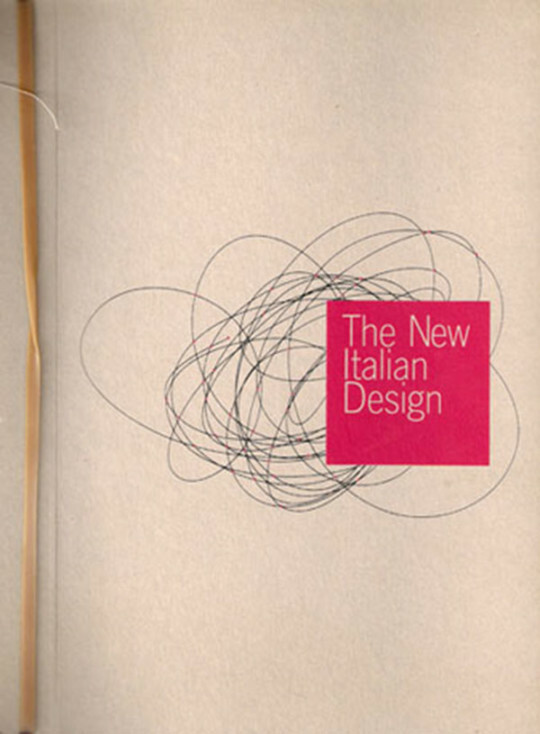 The Triennale Design Museum continues the project The New Italian Design with a new edition of the exhibition at Cannery Galleries, Academy of Art University in San Francisco. 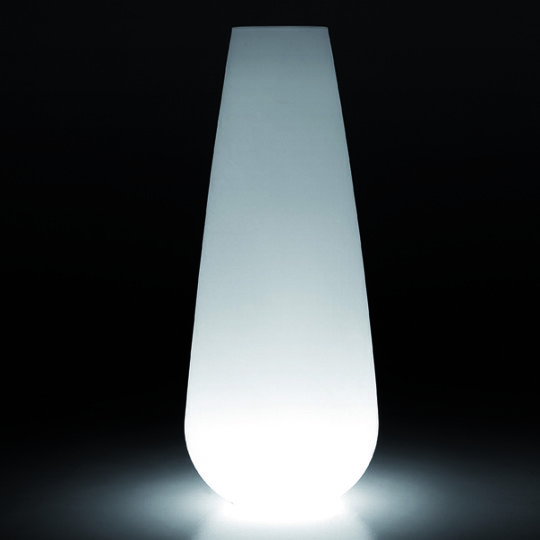 Among the products chosen the vases Giotto, Max and Renè design by Miriam Mirri. 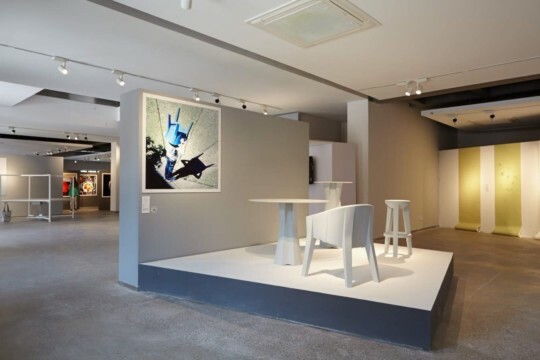 The exhibition will run until August 11th. 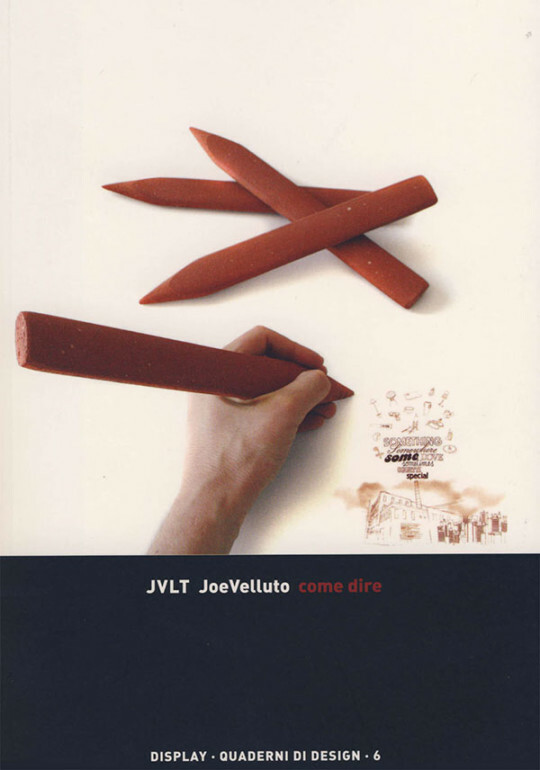 The university course “Il vuoto con la plastica intorno” held by Andrea Maragno – JoeVelluto (JVLT), has driven to the design of a machine that, thanks to the rotational moulding production process, allows the use of various moulds and materials to realize different forms. 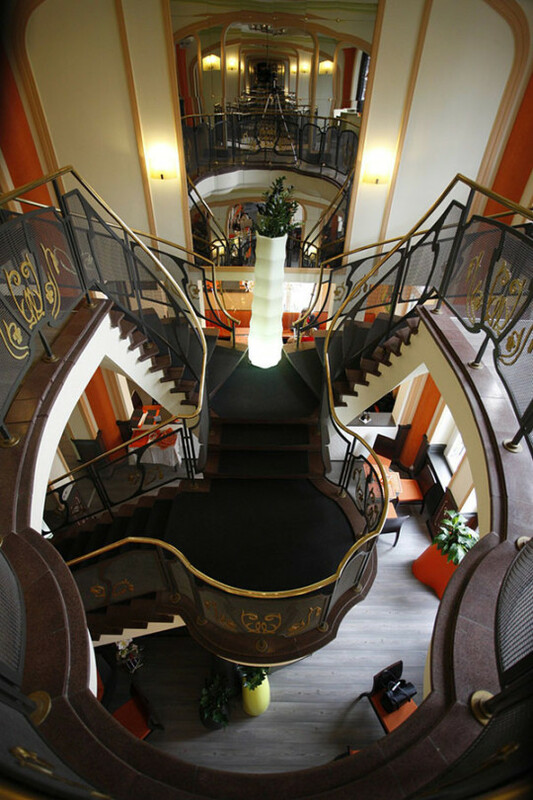 PLUST Collection, together with other companies of design Made in Italy, has been chosen to furnish the attic of Palazzo Beltrade. 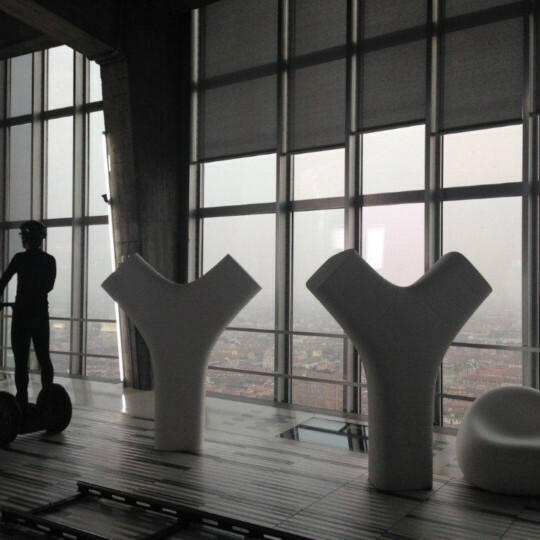 From the terrace, comfortably seated on Gumball armchairs and sofas, it will be possible to admire a panoramic and amazing view of Milan: Castello Sforzesco, Duomo, Torre Velasca. 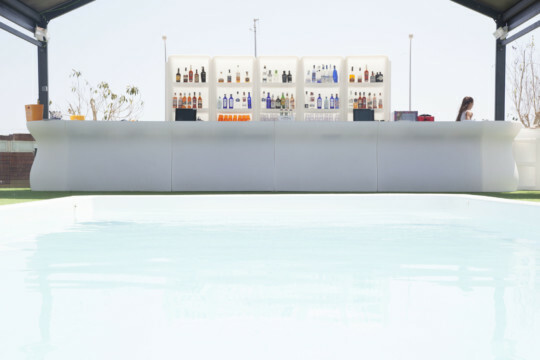 Pepe Cabrera Team has built in their showroom in Denia (Alicante) a restaurant area that uses Gradient, designed by Mut Design, in different shapes and heights as decorative and functional modular partition. 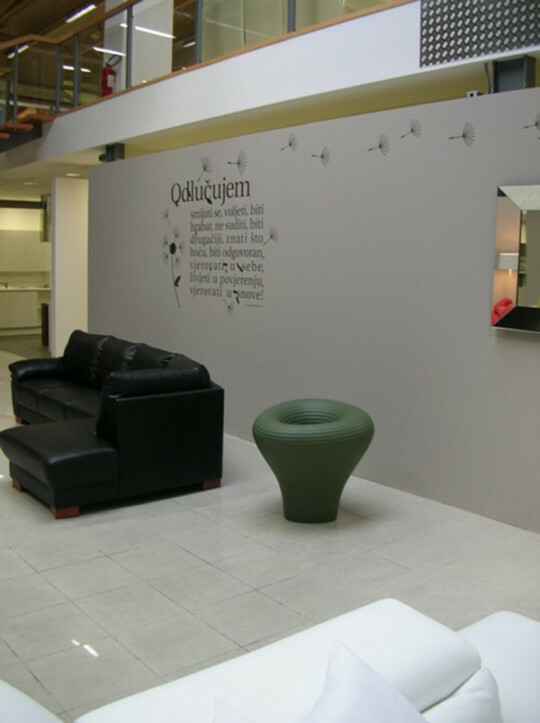 The opening of the new showroom Oficina de Interiores in Angola has seen PLUST Collection as the main protagonist: most of the space has been furnished with lights, chairs and complements of PLUST Collection. 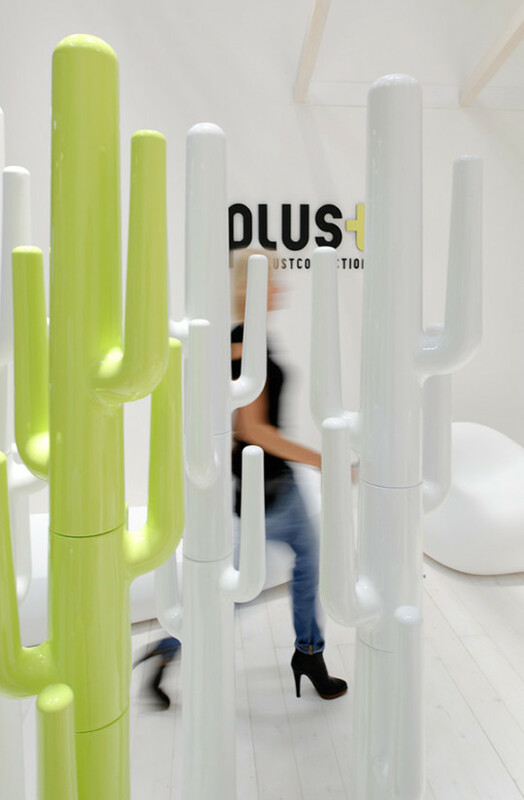 Here the first pictures and the video of PLUST Collection at Valencia Design Week at the exhibition MUT&FRIENDS ant at the event Que viene le circo!! 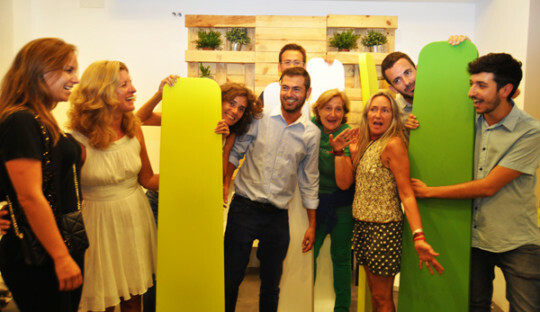 Here the first pictures and the video of PLUST Collection at HABITAT Valencia 2012. 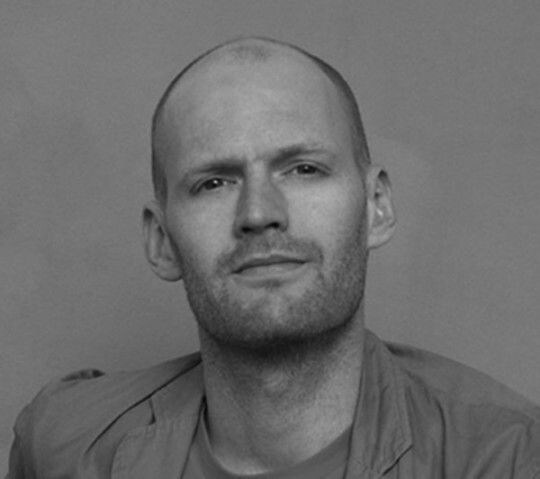 Photo credit:Pau Monteagudo. 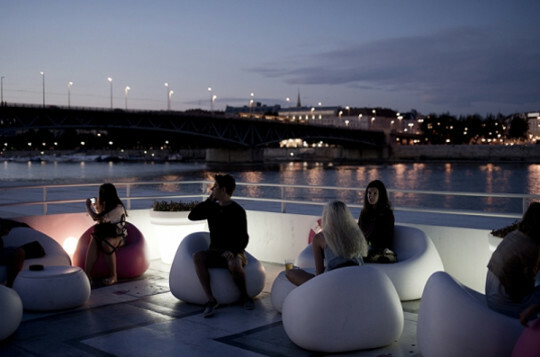 A38, the floating local in Budapest, chooses in his new project of interior Gumball Armchair in white and pink and the TBall table. 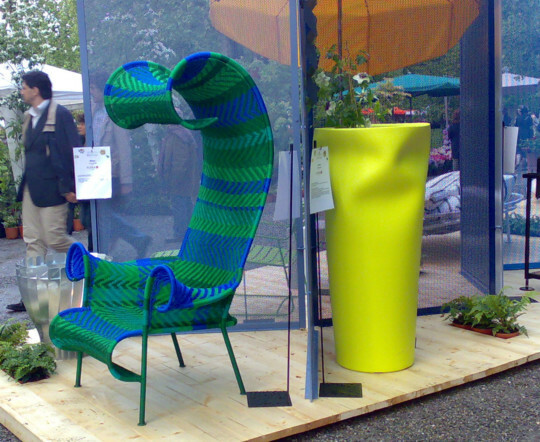 The lamp Trim Light designed by Valerio Sommella took part at the prestigious “Esposizione Orticola d’Esterni”, an exhibition inside the Orticola 2012 event, which has took place since many years in the public garden Indro Montanelli in Milan. 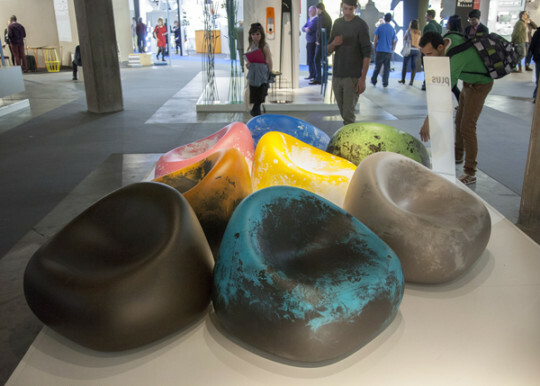 Here the first pictures of PLUST Collection Milan Design Week of PLUST Collection: the exhibition set up by the JVLT-JoeVelluto studio and the partnerships with the Brera Design Party by Hyundai and the IED in Milan. 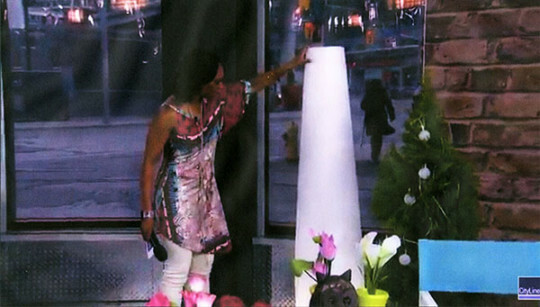 Tball, Saving Space Vase Light e Nicole Light were on air during the program CityLife, the second more popular show in Canada. The anchormen suggested viewers how to chose outdoor products. 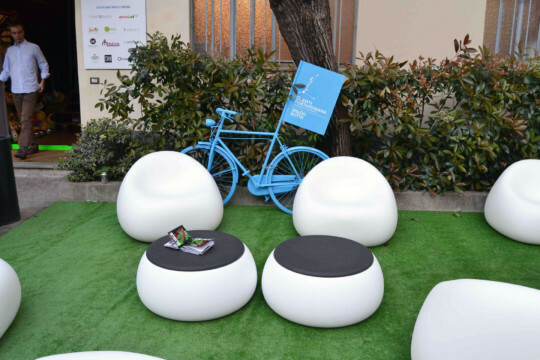 Even this year the setting of Porta Romana Design 2012 in collaboration with IED Milan in via Sciesa 4 will be personalized by PLUST Collection furnitures: Gumball and T Bal create small lounges to let people socialize. 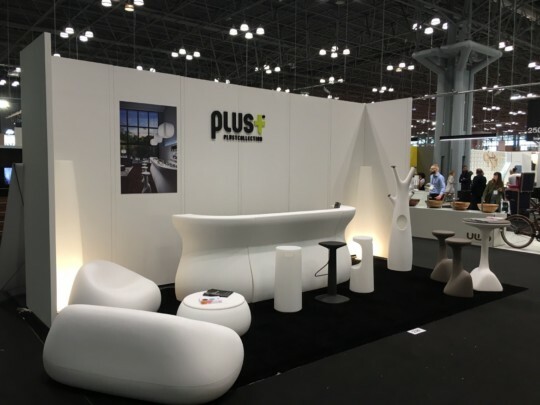 PLUST Collection introduces at Milan Furniture Fair the new collection of indoor/outdoor furniture which strikingly underline the high quality and the function of the product which shape and form is ispired by nature. 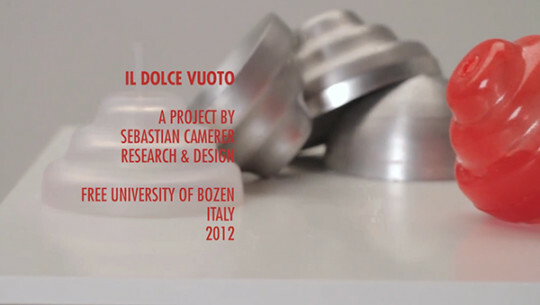 Six new products designed by MUT Design, Design, Alberto Brogliato, Marco Zito, Eddy Antonello and Gentle Giants studio. 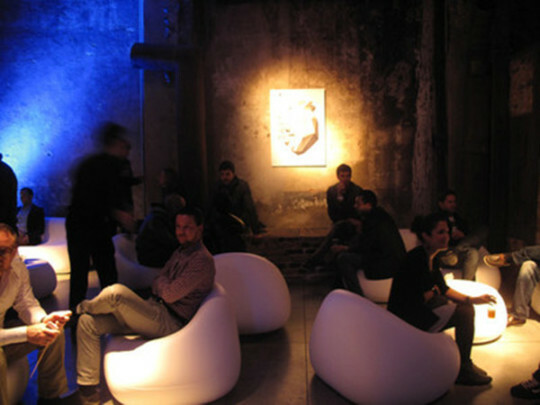 For the second year PLUST Collection attends, as technical partner, to the Brera Design Party by Hyundai event, in the space Officine del Volo (metterei in corsivo) in via Mecenate. 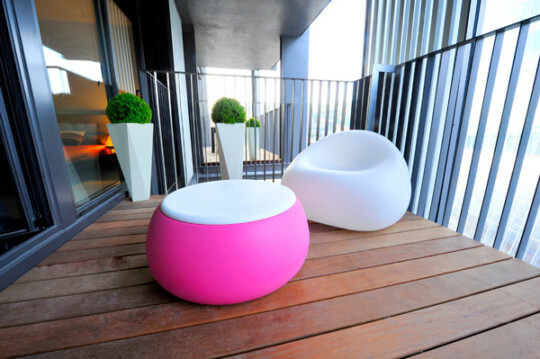 Many relax areas will be furnished with Gumball Armchair, Gumball Sofa e T Ball products. 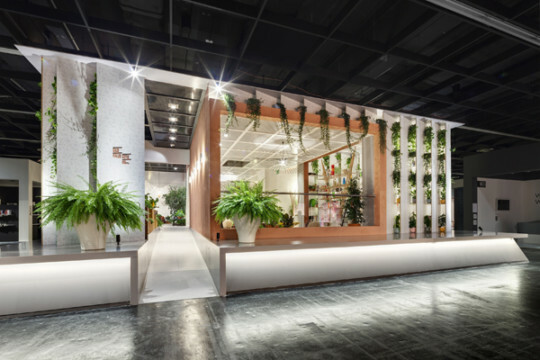 In the Westfield Downtown shopping centre in Auckland the passageway has been personalized with vases Roo, Rebelot and Baddy: the watchful dwarf! 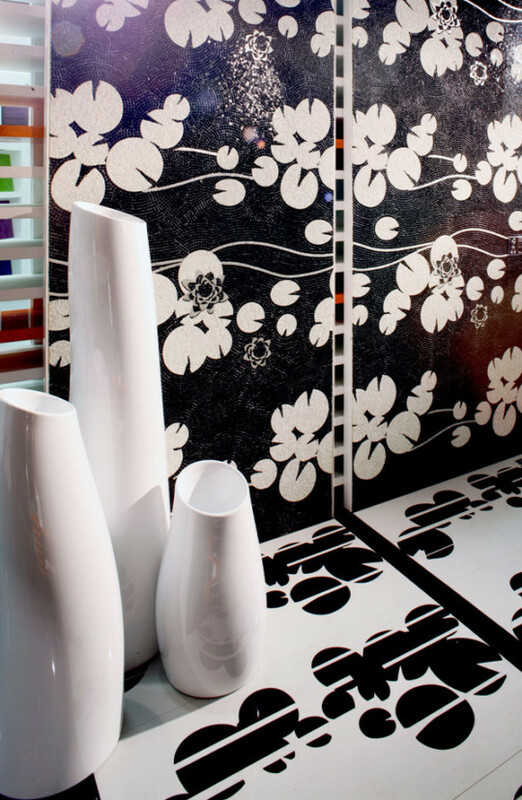 The Moai vases by Luca Nichetto and the vases triptych Madame by Alessandro Busana have set up the stand of Gruppo Trend at the Cersaie fair 2011 in Bologna. 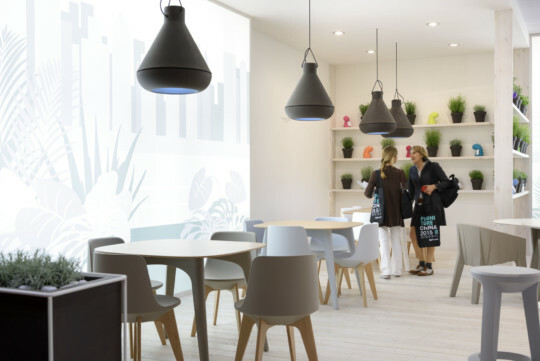 The vases Drop and Buba Light have been chosen to set up the headquarters of the Dealogic and The Embassy of Kuwait. Stay in Hungary took care of the the project. 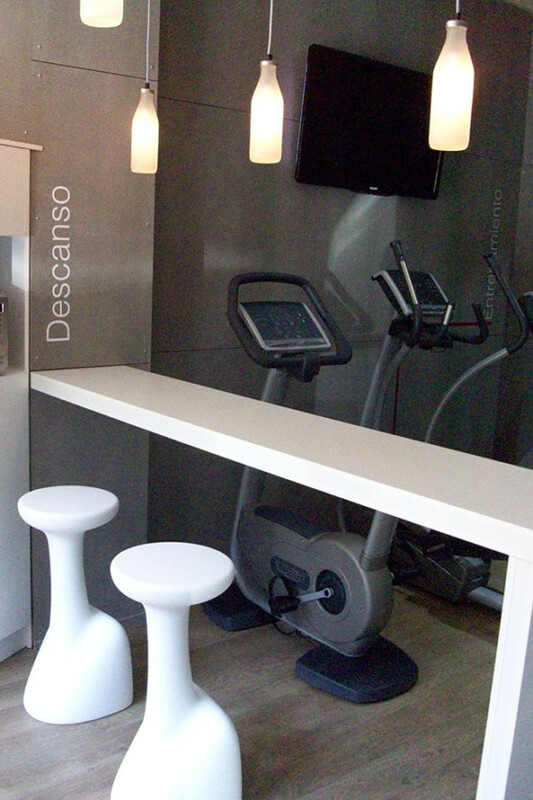 Armillaria Stool design by Odoardo Fioravanti are part of the furnish in the famous gym CLASS personal training in Valencia. 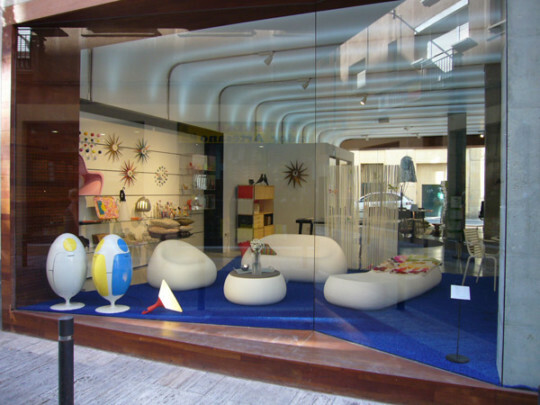 Quarta showroom in Murcia has exhibited all the Gumball Family in his shop window. 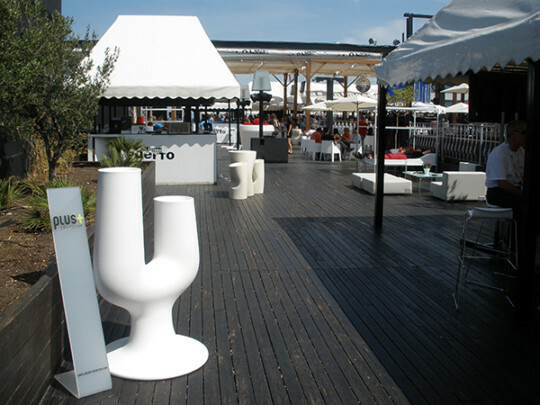 It consists of a sofa, a armchair, a sun bed and a table: all designed by Alberto Brogliato. 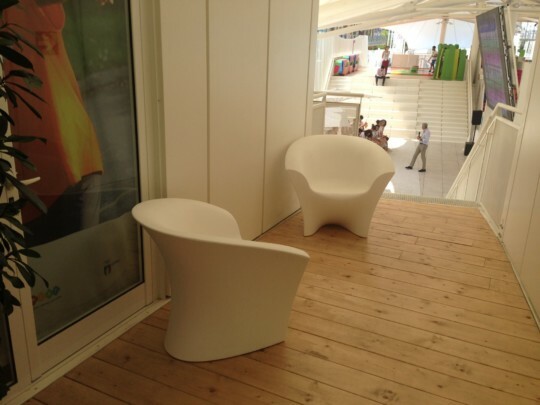 A great success for PLUST Collection and its pieces of furniture at the Formula 1 Grand Prix of Europe in Valencia. 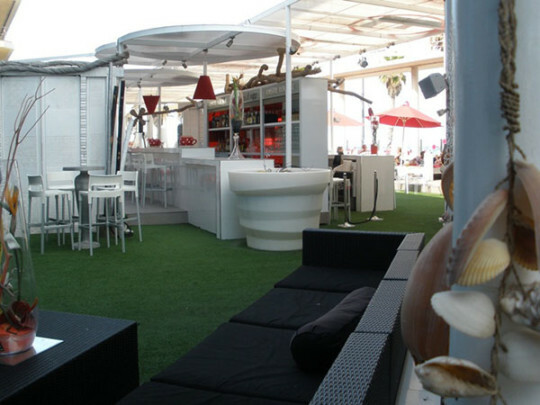 The VIP MEETING POINT of the famous Spanish discotheque “Las Animas Puerto” has been furnished with Gumball, Armillaria, Cactus, Cubalibre, Nicole and More. 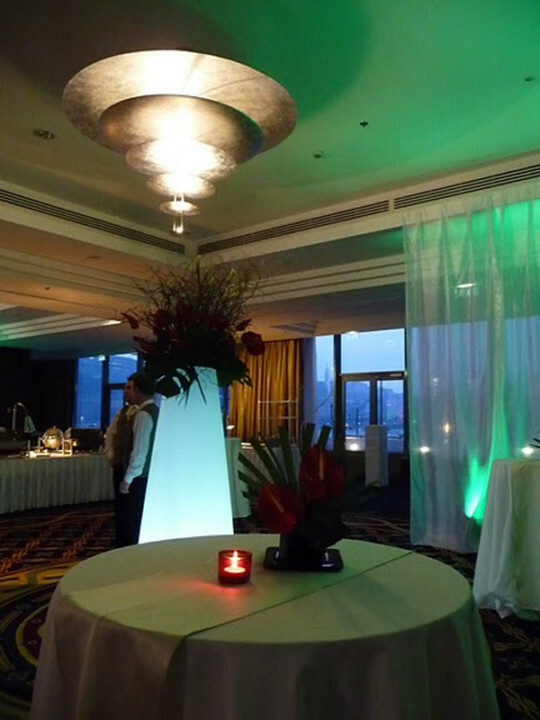 The result: a suggestive, fresh and cozy atmosphere. The concert of David Guetta sponsored by Red Bull took place in the AGORA room of the “Ciudad de las Artes y de las Ciencias” in Valencia. The room has been furnished with Cubalibre Light, Gumball and Nicole. 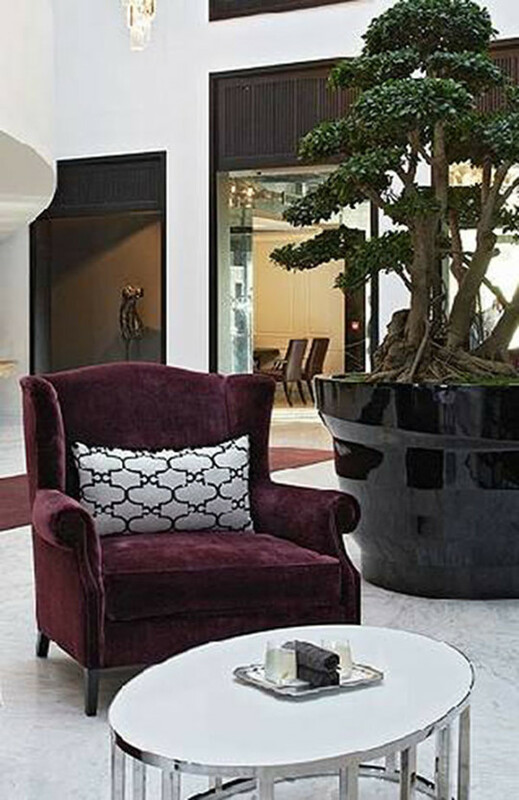 The pot Rebelot completes the setting of the luxury hall of the Queen Victoria Hotel in Cape Town. 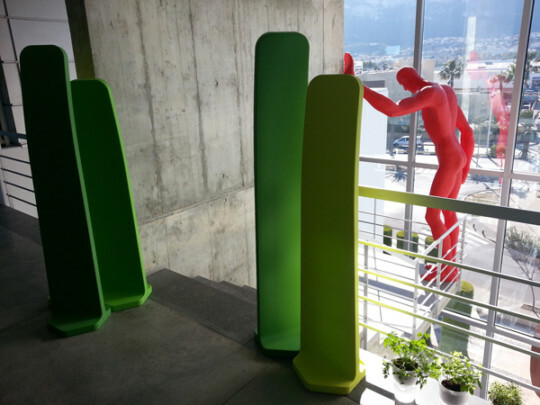 The architect Carlos Ferrater chose Ohla, Enta, Diamond, Gumball and T Ball for the outdoor of the new building Bilbao Design. 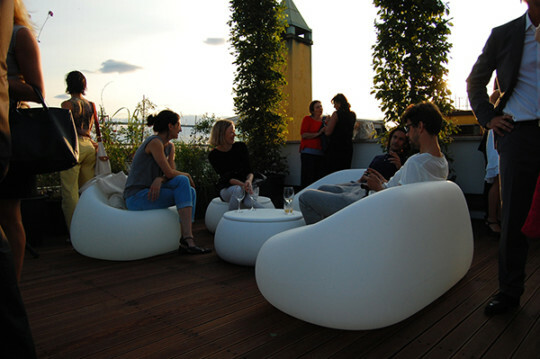 PLUST Collection takes part with Gumball Sofa by Alberto Brogliato at the exhibition Orticola 2011 at the Giardini Pubblici Indro Montanelli in Milan. 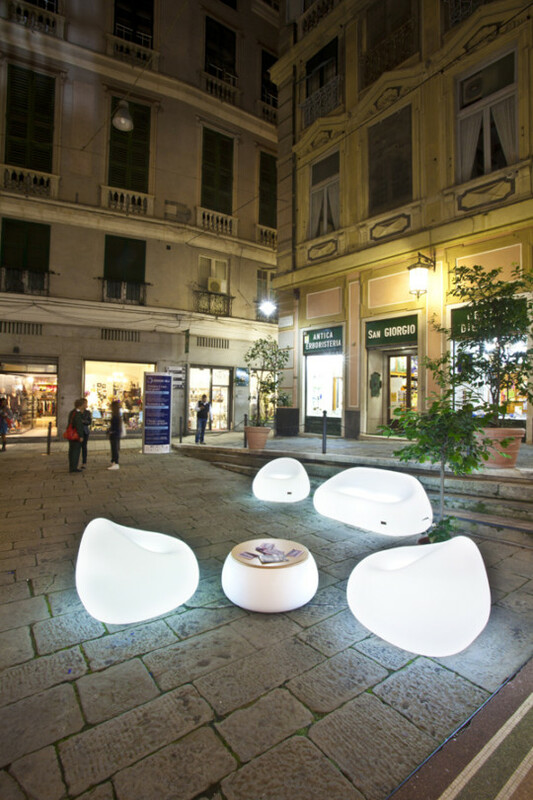 Gumball chairs and TBall tables have contributed to the creation of small public gardens in the Spazio Botta of Porta Romana. 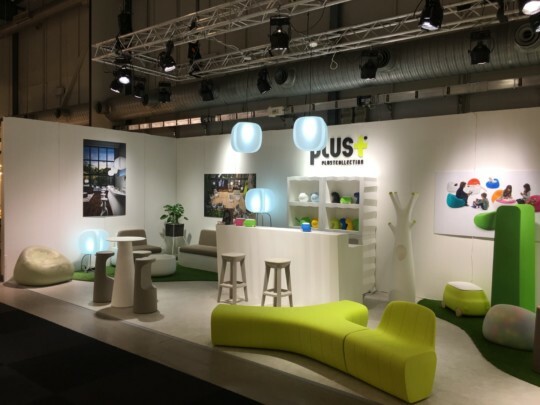 Here are the first pictures of the PLUST Collection stand with the new products presented during the Milan Furniture Fair. 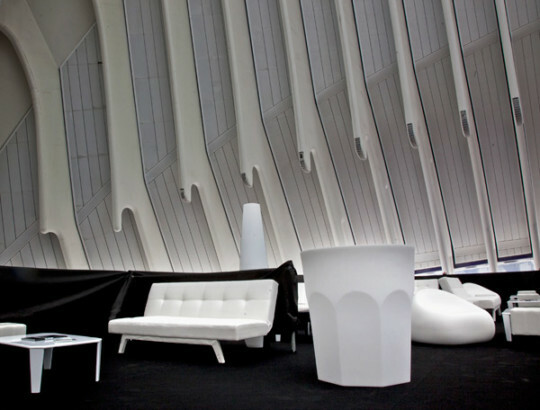 PLUST Collection is the official sponsor of the BDD 2011 with a territorial communications project in which the king sized “Saving/SpaceVase”, designed by JoeVelluto (JVLT), is treated as a strategic design element to provide information on events. The Armillaria set contributes to furnish the spaces of the event Jannelli&Volpi 5×10 = WALLPAPER CELEBRATION at the J&Vstore Via Melzo 7 Milan. PLUST Collection has contributed to the set design of the Spanish sitcom ‘La Vida Loca” with Armillaria Table, Armillaria Stool and Nicole Light. 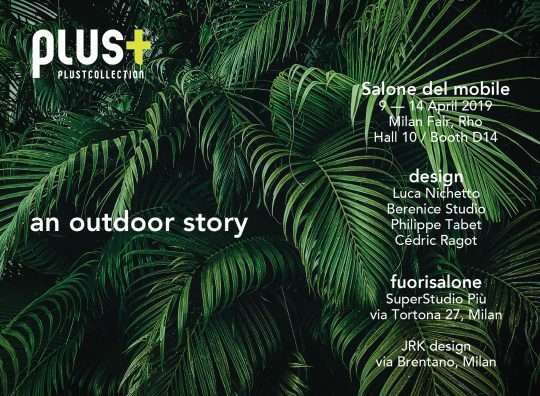 PLUST Collection presents this year at the Milan forniture fair its new collection for indoor/outdoor designed by Alberto Brogliato, Marco Zito, Eddy Antonello and Alberto Fabbian. 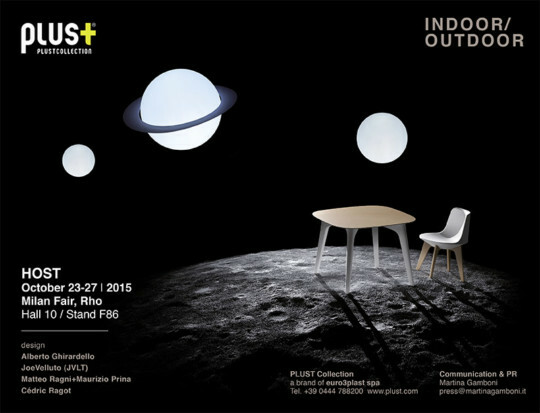 PLUST Collection will have the pleasure to welcome you at the Pavillion 6 stand D47. 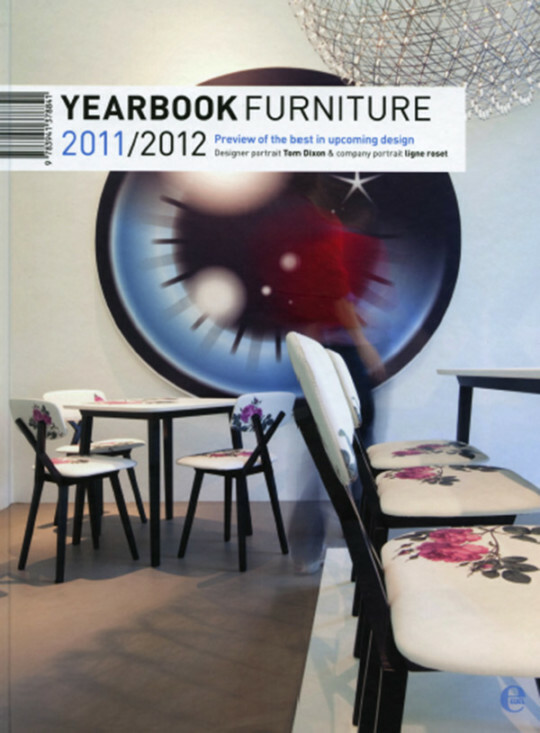 PLUST Collection with Armillaria Table designed by Odoardo Fioravanti was chosen by the prestigious Yearbook Forniture 2011/2012 that introduces the best products and furniture trends. 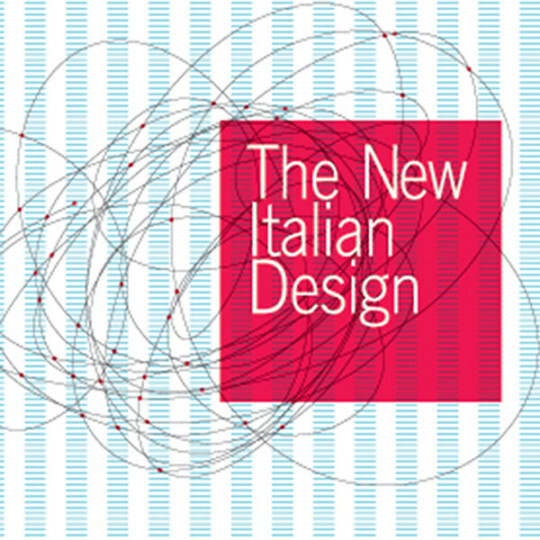 The vases Giotto, Max and Renè designed by Miriam Mirri have been selected for the exhibition “The New Italian Design” in Instanbul curated by Andrea Branzi. 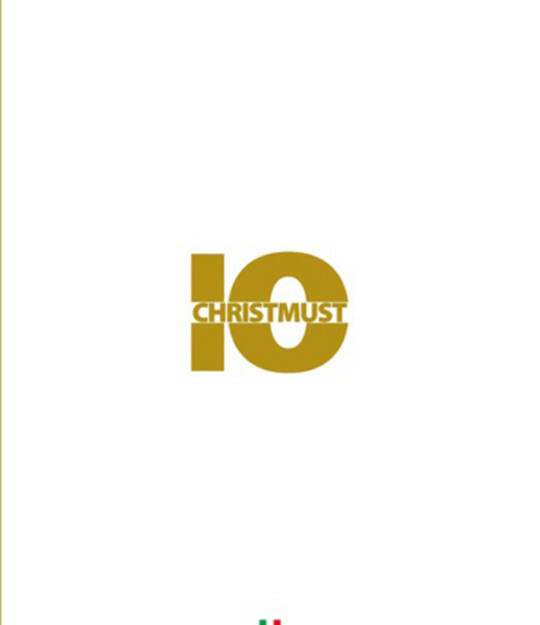 Christmust, a volume created with the idea of collecting the best italian products for innovation, design and excellence is now in its third edition and it chose the Armillaria stool as a gift idea for 2010. The PLUST Collection will be also in Croatia in the new showroom Bitechnique in Rijeka, an innovative and modern space where people can find the best of design. 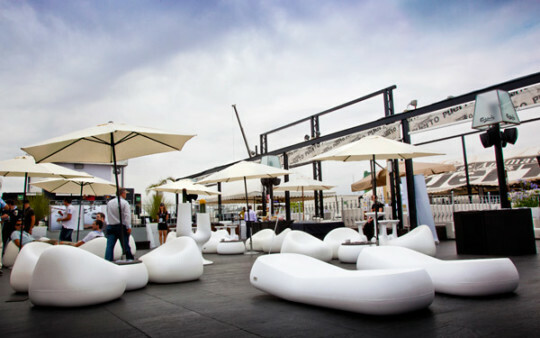 During the fair Habitat in Valencia Duke.103 the writer has captivated many visitors with its graphic performance within the PLUST installation. 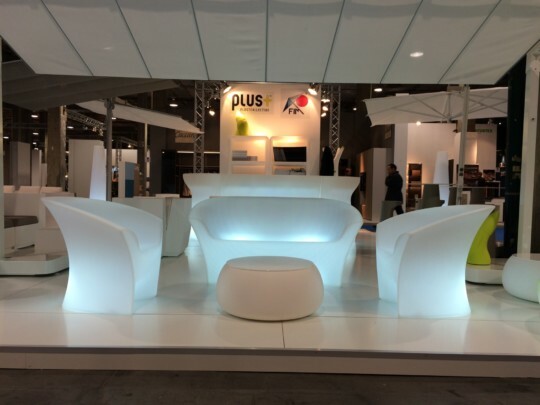 PLUST Collection takes part for the second time at the Habitat fair in Valencia. 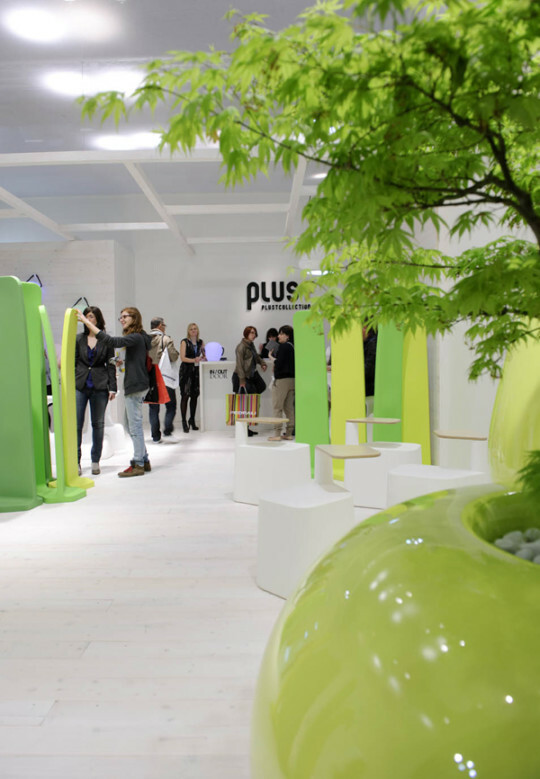 An important occasion not only for the Spanish market but for the international audience for discovering the PLUST Collection world in a stand designed for the occasion with writer the duke 103 drawings. 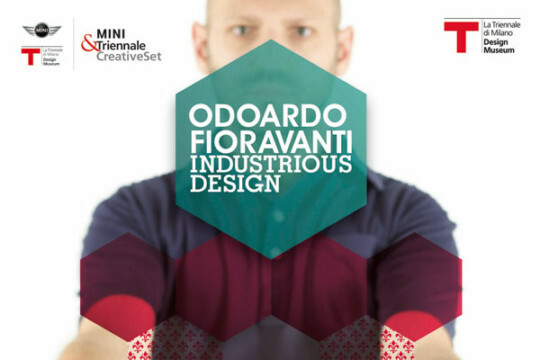 The Armillaria set contributes to furnish the spaces of the exhibition dedicated to Odoardo Fioravanti that will opens the 21st Septemeber at the Triennale di Milano. 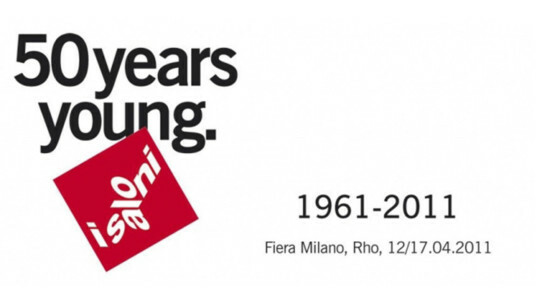 A solo exhibition that chronicles the design career of one of the most important PLUST Collection designer. 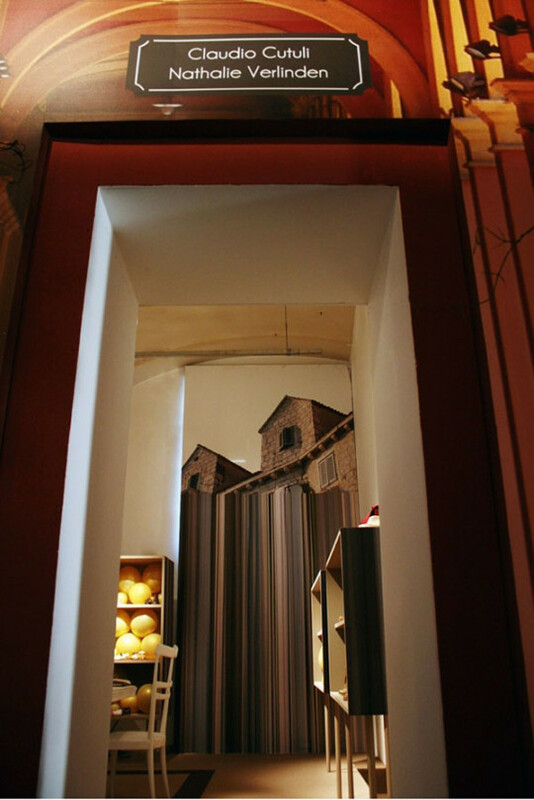 The buba light vases belonging to the first collection of PLUST Collection have illuminated the enchanting spaces of the Teatro Olimpico in Vicenza on the occasion of its night opening for the Gold Fair. 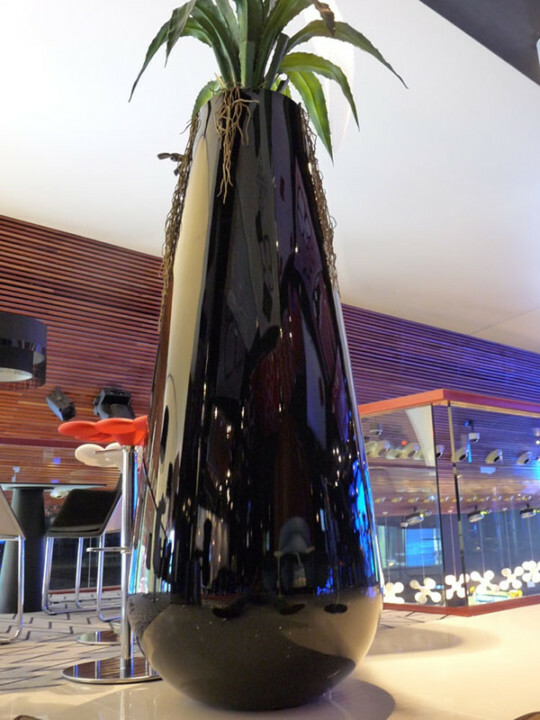 The Casinò of Valencia opens officially in these days and the vases PLUST Collection contribute to furnish its spaces together with important brands of the Italian design. 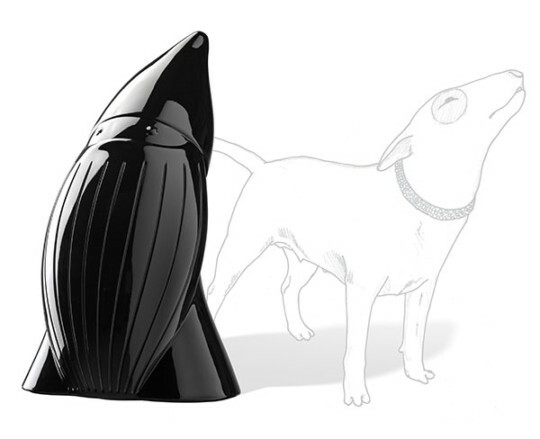 Rebelot and Buba, both in the lacquered black version, define with their personality the places around them underlying the contract attitude of the products PLUST Collection. 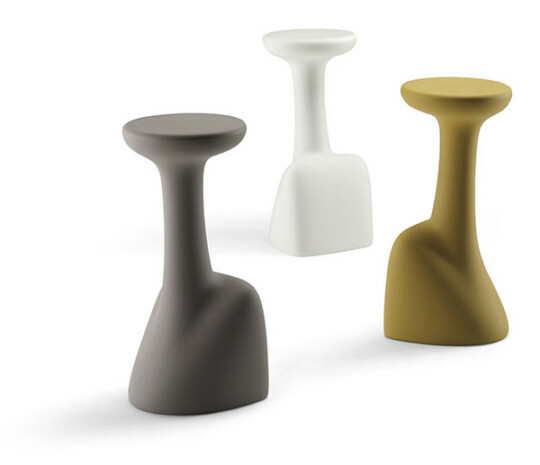 A collaboration that lasts since several years those between PLUST Collection and the Formula 1. This time is the Valencia race and its dehors to have been furnished with the Cactus designed by Giulio Iacchetti in its white version. On the occasion of the 69° edition of the Pitti Bimbo the designer Ilaria Marelli created the exhibition setting Apartment. 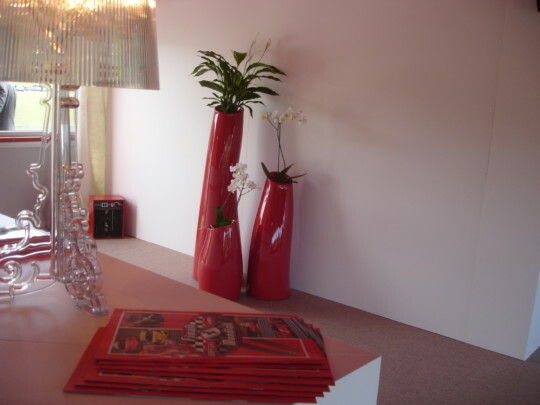 An extraordinary journey in a wonderland where the PLUST Collection vases framed the different rooms. 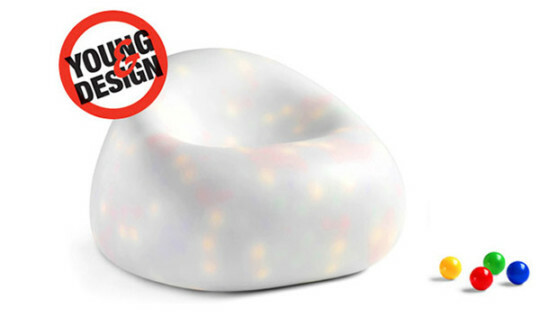 The product Gumball designed by Alberto Brogliato for PLUST Collection has received the Special Mention on the occasion of the Young&Design 2010 contest, one of the most prestigious contest related to designers under 35. On the occasion of the Ferrari Party for the race championship closing, PLUST Collection has been selected, for the second time, for furnishing with its complements the prestigious location of the Mugello. 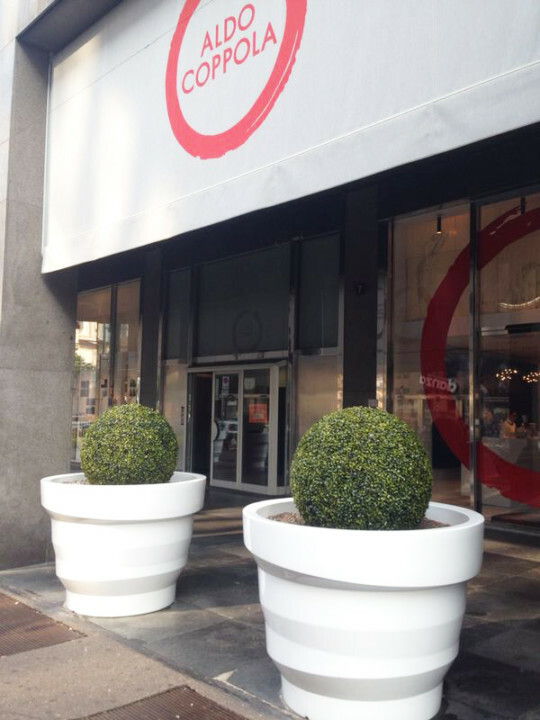 The pots of PLUST Collection have been selected for furnishing the headquarter of Gardendenia, a design studio specialized in indoor and outdoor projects. 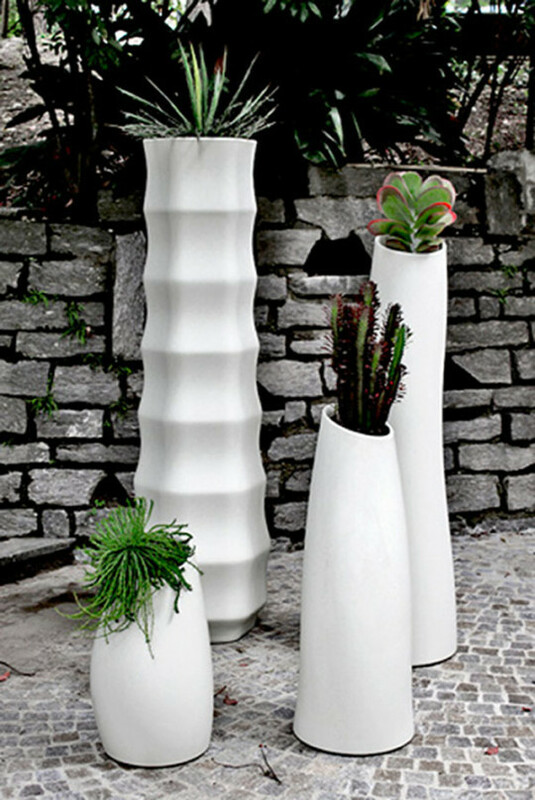 The pots of PLUST Collection have not only been used as complements on this occasion but are partners in the settings Gardendenia creates for the outdoor. 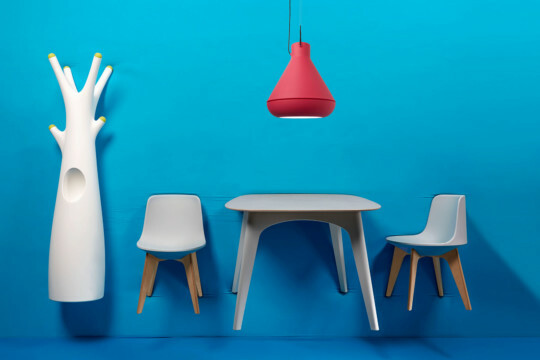 Pluct Collection has been selected for furnishing Secret story, the french edition of the Big Brother on air every evening on TF1, the main broadcast of France. 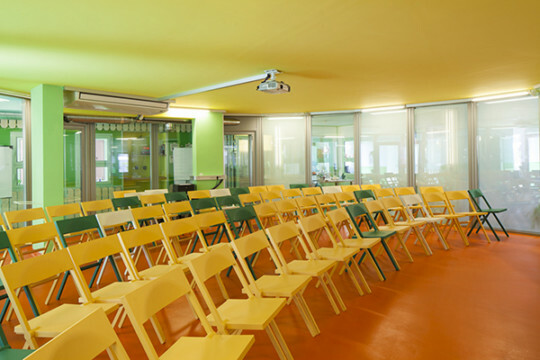 The products personality has given a contemporary touch to the colored rooms of the programme, revealing as ideal partner for the success of the event. 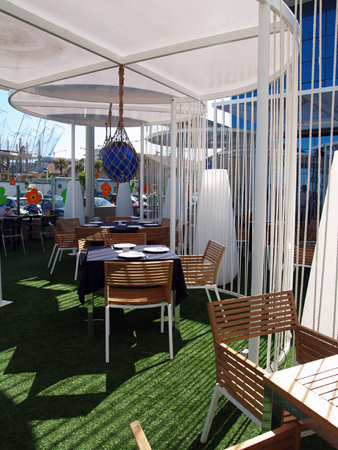 The Buba pots of PLUST Collection have furnished the dehors of the contemporary and glamorous restaurant Brassa de Mar on the promenade of Valencia. 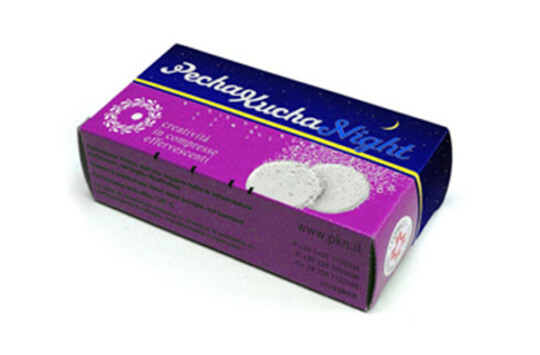 A dynamic and young atmosphere where the personality and the touch of Buba can’t pass unnoticed. PLUST Collection has taken part at the evening of the Mediaset schedule presentation with an exhibition settings by Roberto Bassanini. 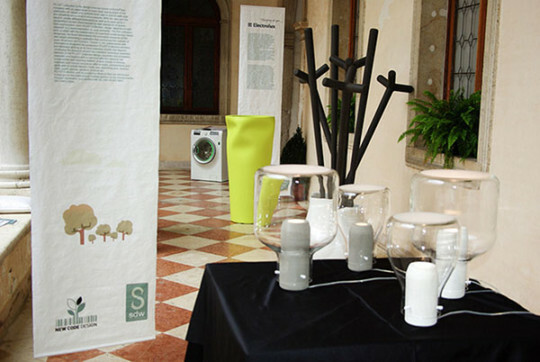 On the occasion of About Design first edition, Palazzo Valmarana Braga, a beautiful palace of the XVII century in the city of Vicenza, will host a designers and contemporary furniture complements event and exibition. 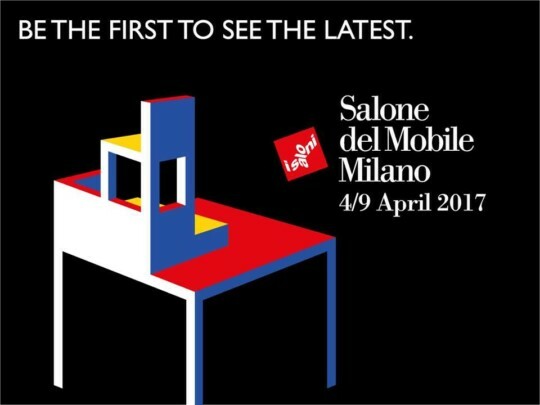 PLUST Collection will take part at this exposition with its products. 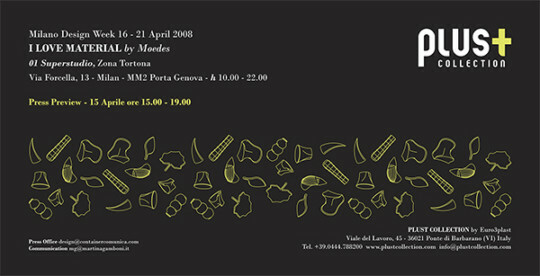 PLUST presents on the occasion of the Milan Design Week the Collection 2008. 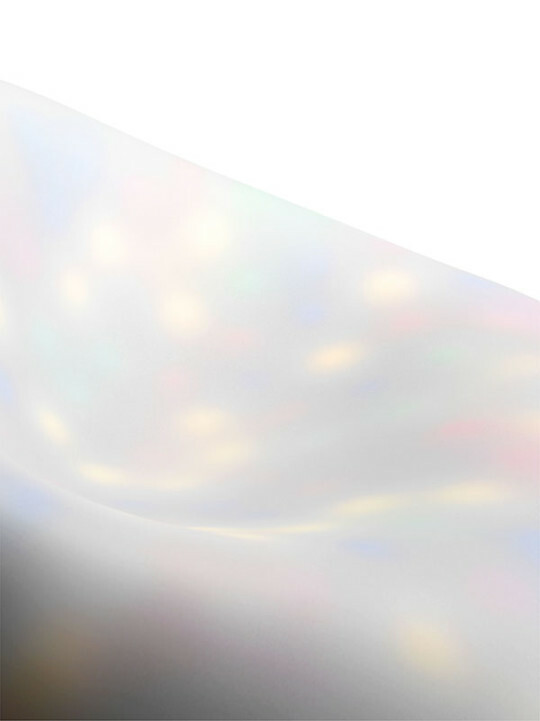 The new product lines characterized by functional shapes and luminous materials will be displayed at Superstudio during the event I Love Material, at the Terme di Milano with an emotional setting and at the exclusive Dassi showroom in Brera. For the first time also the Cosmoprof fair, the beauty exhibition, will have a series of non official events: the cosmo off. 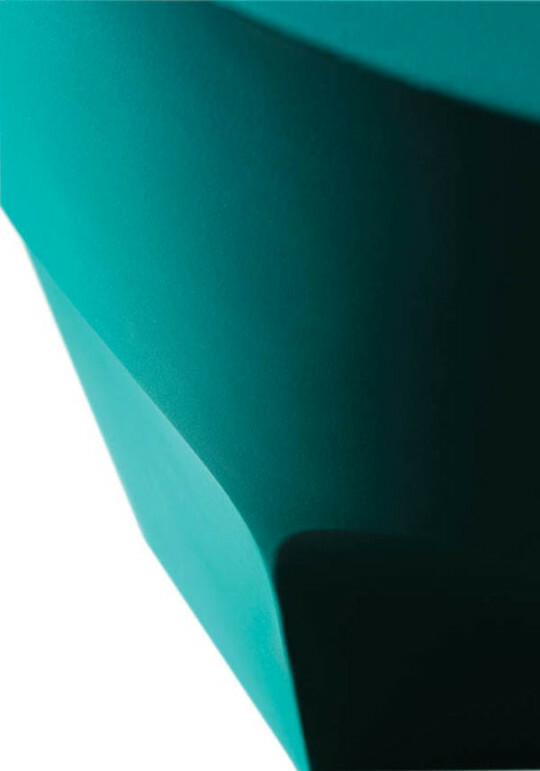 PLUST Collection will take part at the initiative with the Giotto vase, designed by Miriam Mirri for the second stop of an exhibition that has become a touring one. 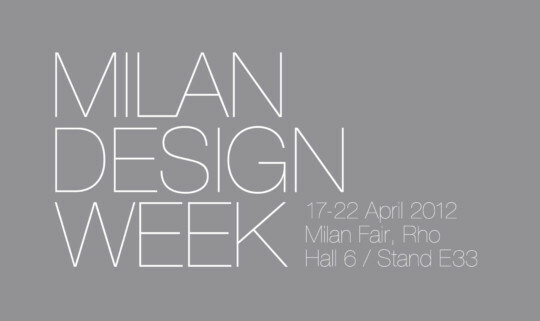 The Giotto vase of the totem family Collection, designed by Miriam Mirri has been selected for the exhibition D come Design. 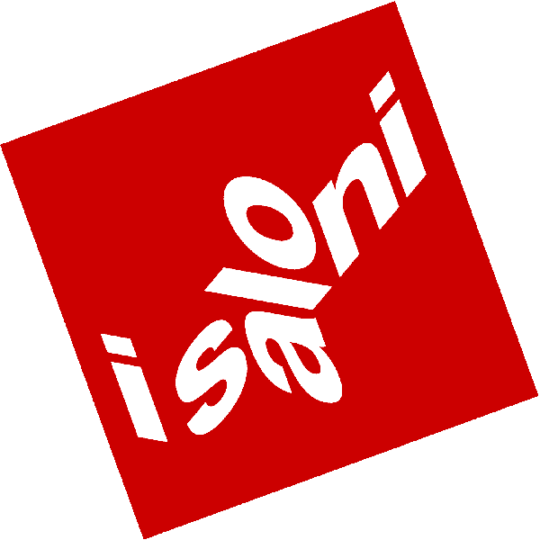 An occasion organized by Torino World Design Capital for talking about women’s design. 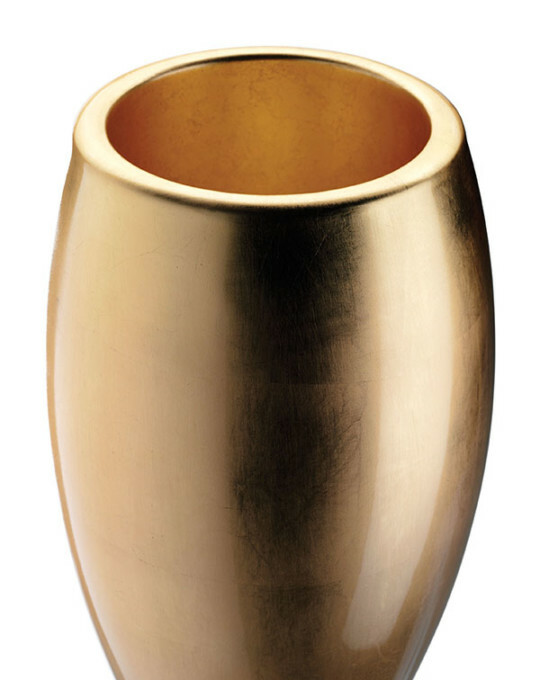 The Cubalibre vase designed by Giulio Iacchetti has been selected for the exhibition “GOAL! 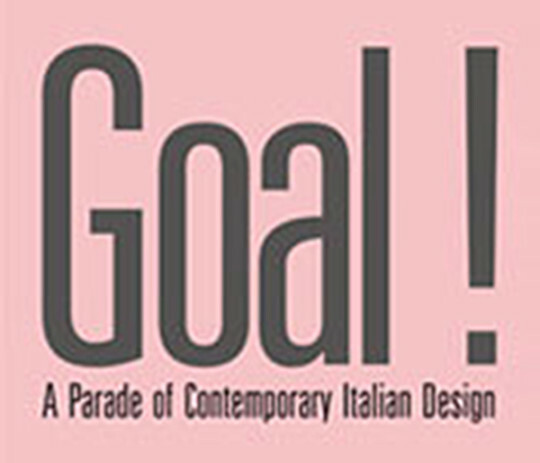 A Parade of Contemporary Italian Design” a project with the aim to collect and show the best Italian design of the latest years. 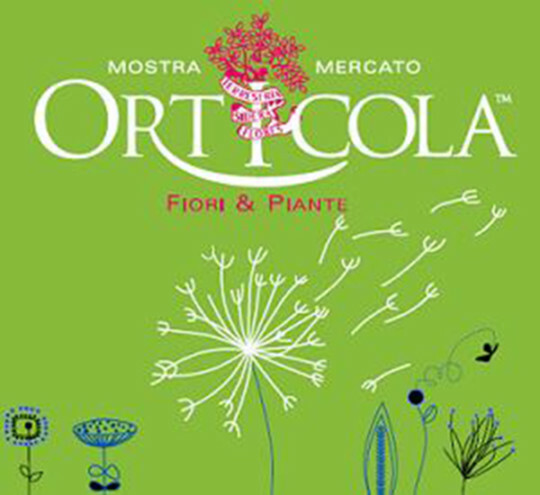 Curator of the exhibition will be Denis Santachiara while Federlegno-Arredo and ICE as main sponsor.